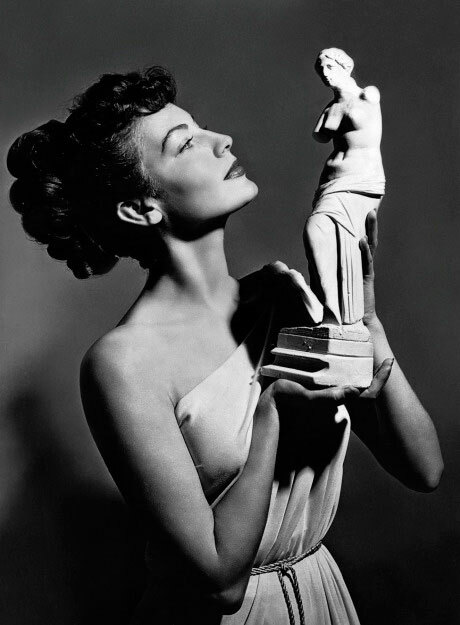 Picture of Ava Gardner from 'One Touch of Venus'. International colloquium, in Athens, on modern responses to Greek material culture in various cultural practices. Presented with support from the IGRCT, in collaboration with the Ecole Française d’Athènes, the Institut Français, and the British School at Athens. Organisers: Nicoletta Momigliano and Alexandre Farnoux. Participants (Speakers and Chairs/Discussants): Semele Assinder; Vinzenz Brinkmann; Jens Daehener; Katherine Harloe; Miltiades Hatzopoulos; Ian Jenkins; Richard Jenkins; Lena Lambrinou; Artemis Leontis; Fiona Macintosh; Cathy Morgan; Pantelis Michelakis; Dimitris Plantzos; Charlotte Ribeyrol; Frank Salmon; Eleni Sikelianos; David Watkin; Martin M. Winkler; Eleana Yalouri. Thursday 16 October, École Française d’Athènes. 19.30 Ian Jenkins: ‘Zeus in London and Paris’. 10.15. Katherine Harloe (University of Reading): Winckel-mania. 11.30. Frank Salmon (University of Cambridge): The real and the Ideal in British Hellenomania, 1751-1851. 13.00. Lena Lambrinou (Greek Ministry of Culture): The Parthenon from the Greek Revival to Modern Architecture. 16.45. David Watkin (University of Cambridge): The Greek spirit- current architecture and sculpture in England. Pantelis Mikelakis (University of Bristol) and Minas Alexiadis (piano). Showing of silent films accompanied by live music. This event is open also to the general public. 13.00. Semele Assinder (British School at Athens): The record of events is written into the earth – travel writing and archaeology in 1939. 18.00-19.30. General discussion + End of Colloqium/Table Ronde.